Halloween is right around the corner. 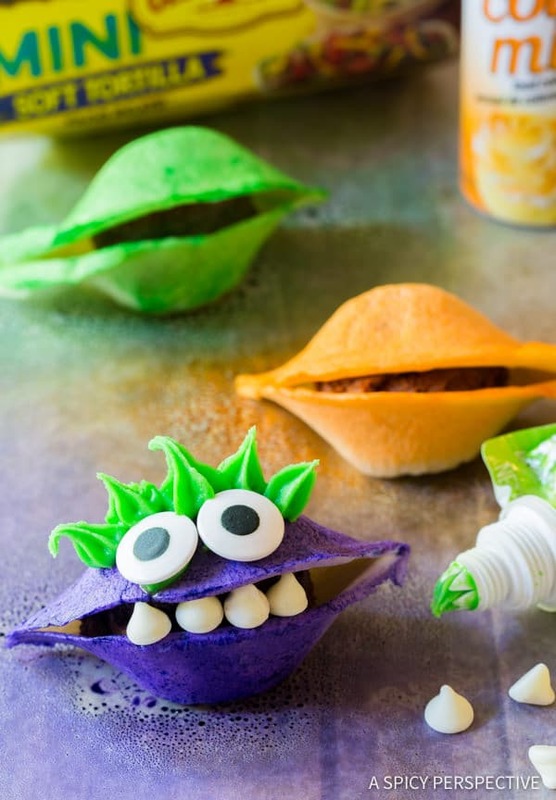 How about making Chocolate Taco Monsters for a fun and festive treat? There are cute Halloween treats. 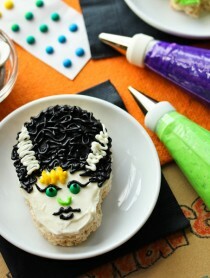 Then there are tasty Halloween treats. Today’s Chocolate Taco Monsters make the cut in both areas. 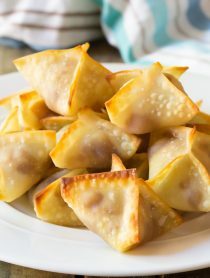 They are fun to make, easy enough for kids to assemble on their own, cute as heck, and so so delicious! 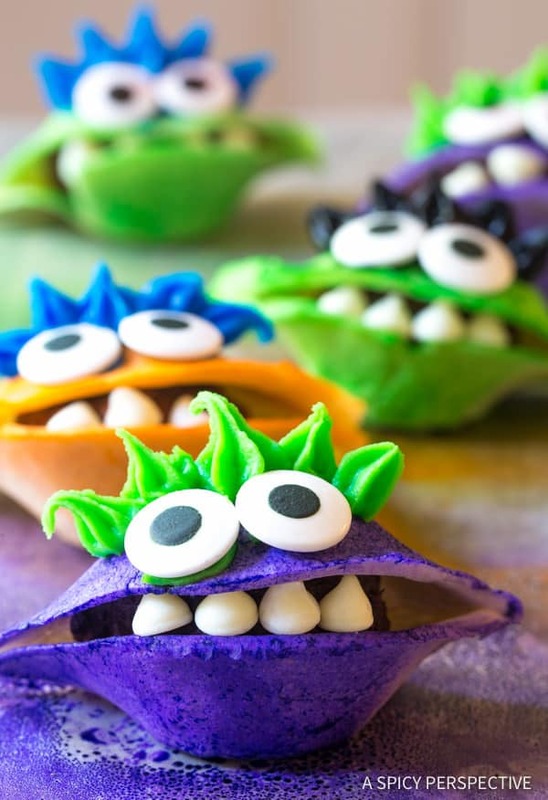 Each little monster is filled with creamy whipped chocolate ganache. The exterior is a tortilla. Believe it or not, I used Old El Paso Soft Tortilla Mini Taco Boats. They are just the right size to make little 2-3 bite treats. Plus when you fold mini tortilla boats in half they create the perfect shape to make a monster face! The kids loved making these Chocolate Taco Monsters. With supervision, they were able to finish all the steps on their own. 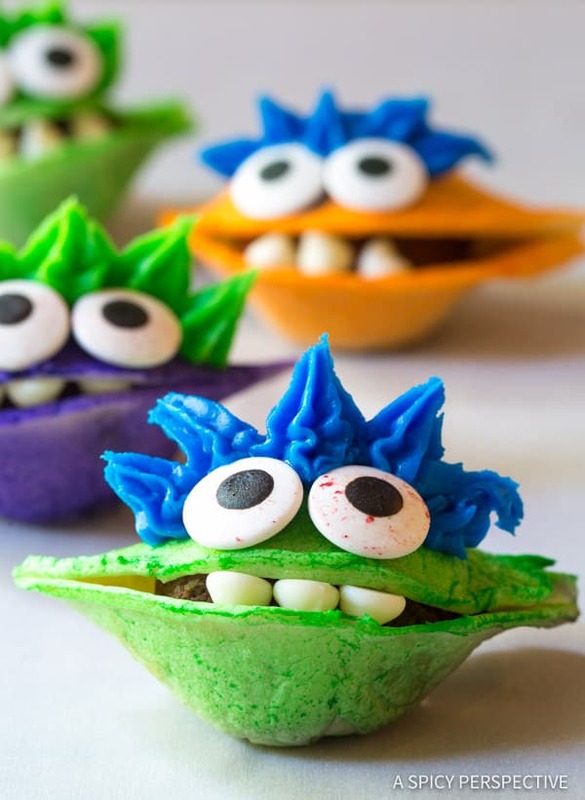 They especially loved scooping the ganache, folding the mini taco boats, and decorating the monsters. We used food coloring spray to dye the monsters different colors. White chocolate chips as teeth. Candy eyeballs. and Premade colored frosting tubes for convenience. If you’d rather make frosting from scratch and use piping bags, go for it! You can find color mist, large candy eyes, and colored frosting tubes in the baking section of your local grocery store, at a craft store, or on Amazon. 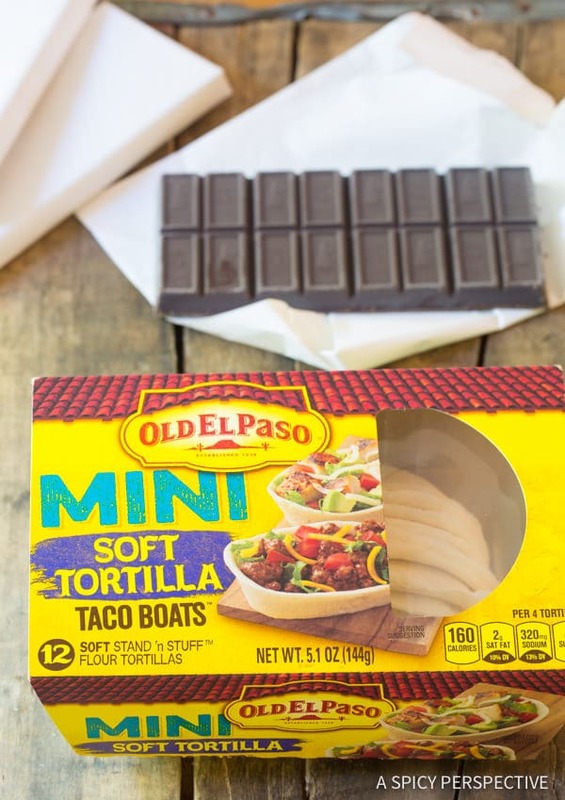 Look for Old El Paso Soft Tortilla Mini Taco Boats in the Mexican food section of your grocery store. 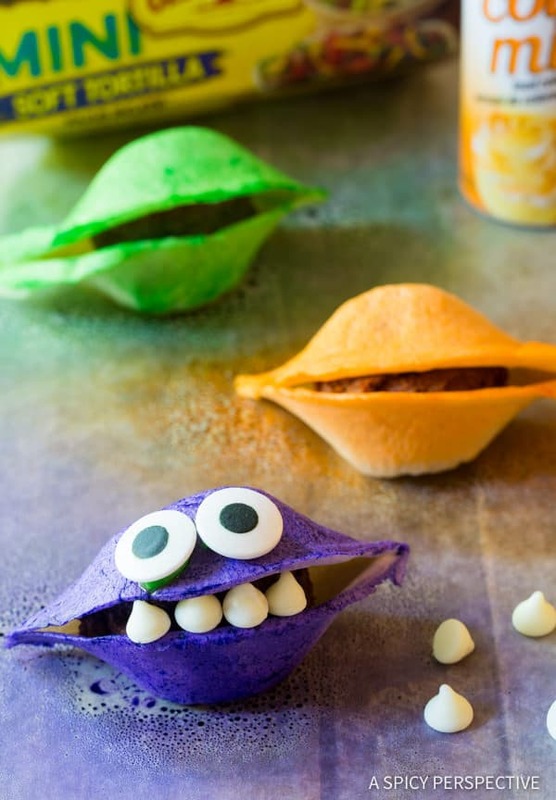 Chocolate Taco Monsters can be made a day ahead, or as a kids craft/snack during Halloween parties. 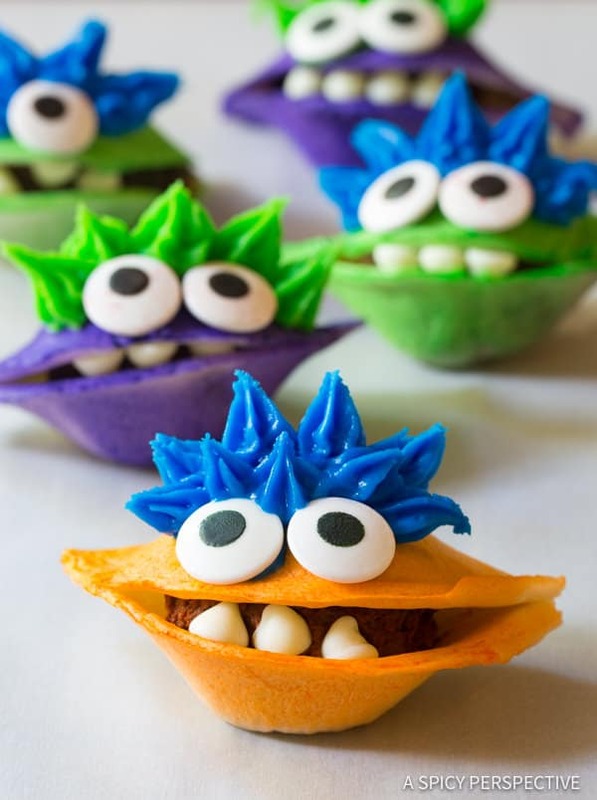 Once the frosting dries, you can even individually wrap your Chocolate Taco Monsters as party favors! Pour the cream in a small sauce pot and set over high heat. When it's almost to a boil, remove from heat and add the semisweet chocolate. Allow the chips to sit in the hot cream for at least 10 minutes. Then whisk well to combine into a smooth ganache. Refrigerate until cold. 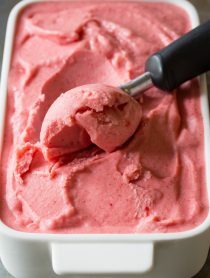 Once cold, use an electric mixer to beat the ganache on high speed until fluffy, about 3-4 minutes. 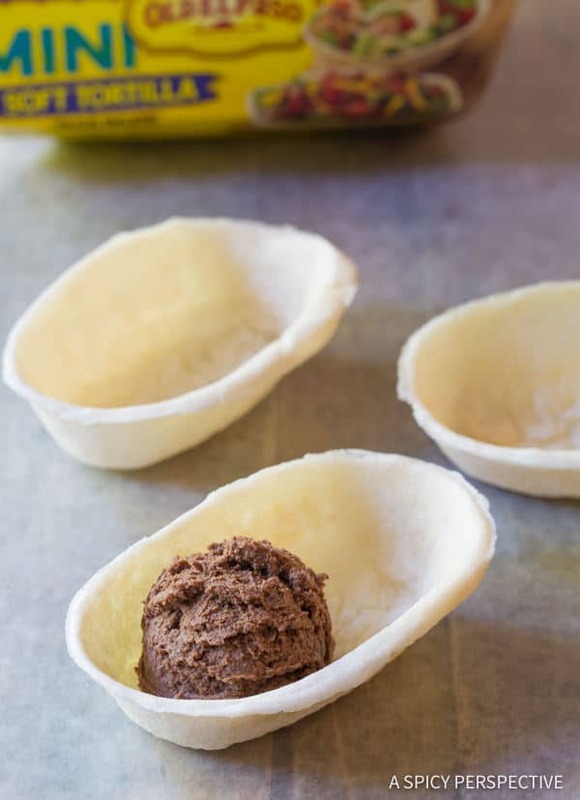 Lay the Old El Paso Mini Taco Boats out on a piece of wax paper. Use a medium cookie scoop to portion out 1.5-2 tablespoon balls of whipped ganache. 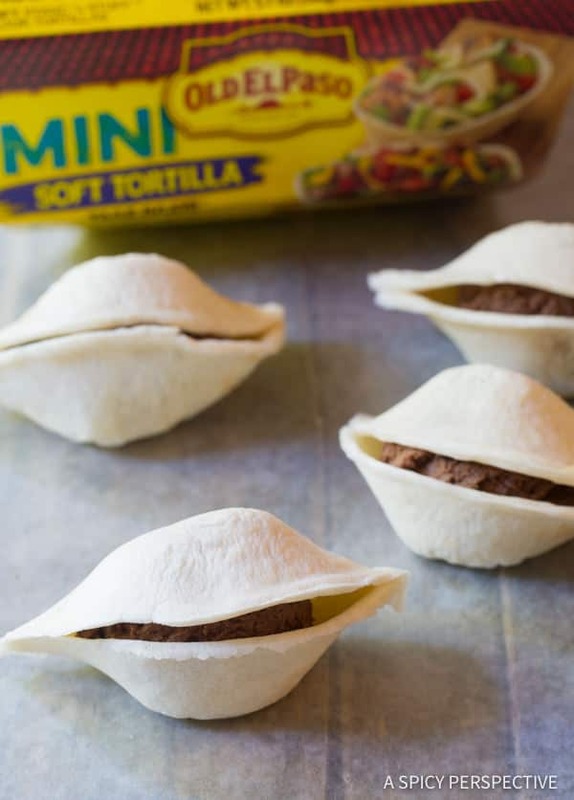 Place one ball in each mini tortilla boat, then fold the tortilla boats in half to close. 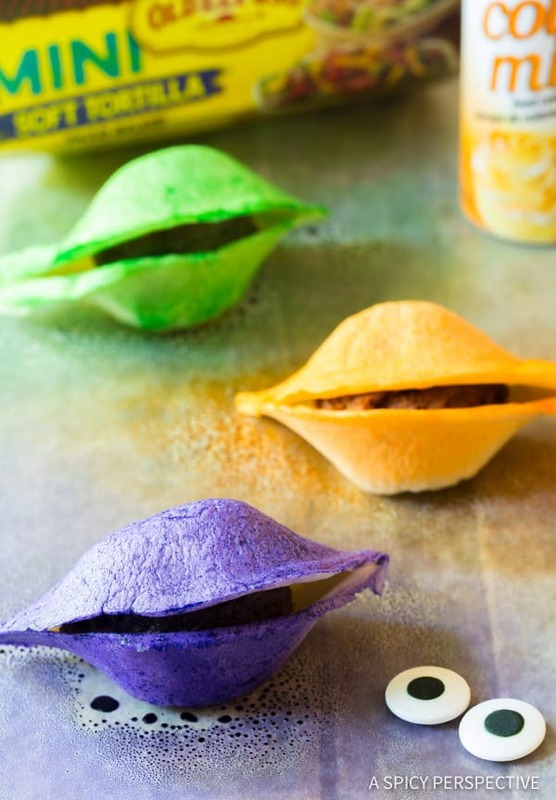 Use food coloring spray to dye the mini tortilla boats various colors. Then place white chocolate chips in the opening to create teeth. 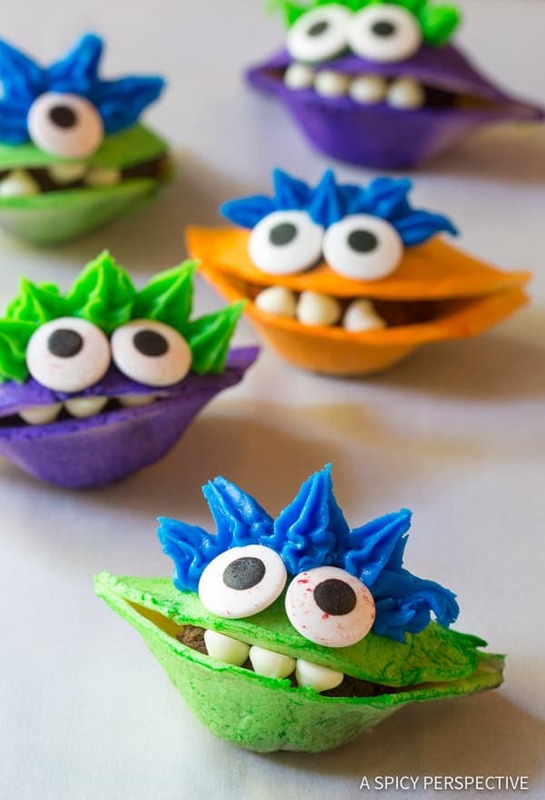 Use premade frosting tubes to attach the eyes over the mouths. Then give the monsters eyebrows and hair. Refrigerate until ready to serve. Oh, thank goodness they’re made from soft tortillas. I was hoping you weren’t going to ask us to successfully pry open a fortune cookie! This is timed very well–my daughter sings, ad nauseum, “It’s Raining Tacos”, and is a chocoholic, so I can’t see how these can miss! She just had her first real taco, so I’m thinking she’ll love the dessert version. Thanks! These chocolate taco monsters look like lots of fun. I will have to make them for my cousins. I am OBSESSED with these! How stinkin’ cute! These are so cute! Totally recreating for my daughter daycare party. Love! These are the cutest Halloween treats ever!! These are SO inventive! what a great idea! These are just the cutest! My boys would love these! You’re a genius! These are so fun!